The HubSpot Product Disclosures are intended to highlight some of the important things about using our different products. The product disclosures form part of the HubSpot Customer Terms of Service (the “TOS”) and are hereby incorporated therein. If you are using any of the HubSpot product(s) described below, the disclosure corresponding to those product(s) applies to your use. We periodically update this page by posting a revised copy at https://legal.hubspot.com/product-disclosures, so please check back here for current information. If you’re looking for definitions of the terms used here, see the HubSpot Customer Terms of Service. 1. 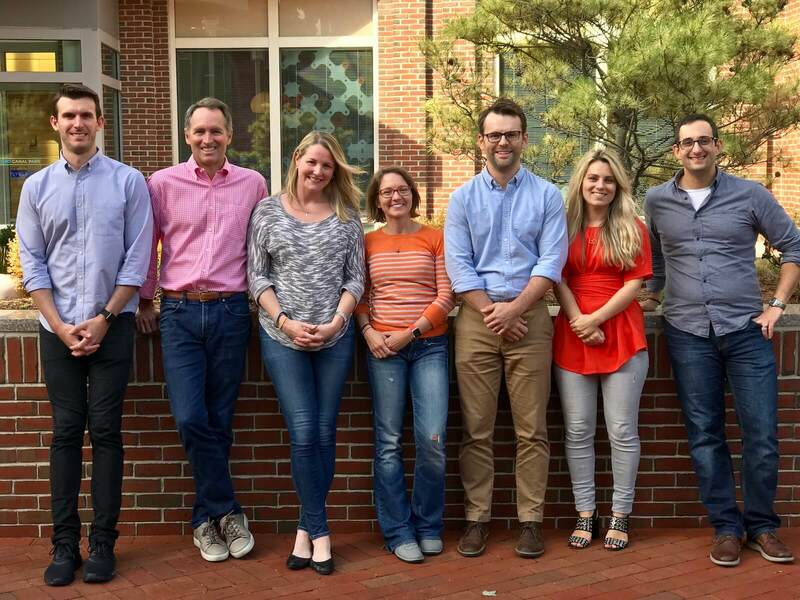 HubSpot Academy. We may offer educational seminars or certifications through HubSpot Academy. The descriptions of these educational seminars and certifications, and the terms and conditions that apply to your participation, are available at http://academy.hubspot.com/. By participating in a HubSpot Academy educational seminar or certification, you agree to abide by the applicable terms and conditions that are made available to you at http://academy.hubspot.com/. 2. Customer Responsibilities. To realize the full value of the Subscription Service and Consulting Services, your participation and effort are needed. Resources that may be required from you include a project manager, one or more content creators, a sales sponsor, an executive sponsor and a technical resource (or equivalent). Responsibilities that may be required include planning of marketing programs; setting of a content creation calendar; creating blog posts, social media content, Calls-To-Action (CTAs), downloads, emails, nurturing content, and other materials; acting as internal liaison between sales and marketing; providing top level internal goals for the use of the Subscription Service; attending regular success review meetings; and supporting the integration of the Subscription Service with other sales and marketing systems. a. Sales Hub Product Data Use. If you use the 'Gmail and Outlook Integration' with the Sales Hub product, we will have access to certain information associated with your email account and will use some of this information to provide the Sales Hub product services. We may store and use your email data, such as the distribution lists (for example, the “to”, “from”, “cc”, and “bcc” fields), the subject lines, and the URLs of tracked links from your emails in order to provide the Sales Hub product. If you use the "Send Later" feature in the Sales Hub product, we will store the bodies of the emails (along with the associated attachments) that you schedule to send in order to provide this feature to you. You must connect your inbox to the Sales Hub product in order to use the "Send Later" feature. If you use the 'Gmail and Outlook Integration', the Sales Hub product will scan the content of your outgoing emails to identify which emails you’ve elected to track in order to provide you with the notifications feature. If you opt to use our template building tools, the Sales Hub product will scan the content of your sent emails to identify possible templates for use by Users of your HubSpot account. By using the ‘Gmail and Outlook Integration’ with the Sales Hub product, you grant us the right to access and use your information and data as described in this section. If you do not agree to the terms in this section, you should not use the Sales Hub product. WE MAKE NO REPRESENTATION OR WARRANTY ABOUT THE ACCURACY OF DATA FROM THE SALES HUB PRODUCT. b. Documents. The ‘Documents’ feature allows you to store presentations and other sales content to share with prospects. Files that you upload using this ‘Documents’ feature are stored by us and shared with other users of your HubSpot CRM team. c. Sales Extension Uninstall. The Sales Extension for Google Chrome and Outlook may leave remnants of application settings and log files on your device even after the Sales Extension has been uninstalled. For more information on how to uninstall the Sales Extension, please see here. d. Revenue Reporting Tools. Revenue reporting tools provided as part of the Subscription Service are not intended to be used as systems of record for financial, tax, employee commission, or other regulatory compliance or reporting. You are responsible for ensuring the accuracy or reports derived using the revenue reporting tools. e. E-signature. The e-signature feature provided as part of the Subscription Service allows you to obtain electronic signatures on documents. The Subscription Service is not intended to be used to store documents, function as as a contract management system or otherwise act as a system of record. We strongly encourage you to take appropriate measures to secure and store your important documents. a. Brand Domain. In order to host multiple root domains associated with your company in a single HubSpot account, you must purchase a subscription to the Marketing Hub Enterprise product with the Brand Domain add-on product. A root domain is considered to be a different domain name that immediately precedes the top-level domain indicator. For example, www.hubspot.com and www.inbound.com are considered separate root domains, whereas www.hubspot.com and blog.hubspot.com or www.hubspot.fr are not considered separate root domains. a. Unified Database. By using HubSpot CRM with other parts of the Subscription Service, you understand that all Contact Information will be stored in a unified database of Contacts associated with your subscription, and that all workflows you use will pull from this unified list of Contacts. While there’s no charge for Contacts in HubSpot CRM, if you subscribe to our Full-Service Marketing Hub Products, you will be charged for Contacts as part of your fee for those products, even if they are added through HubSpot CRM and whether or not there is an email address associated with a Contact. If a Contact is imported from HubSpot CRM into our Full-Service Marketing Hub Products without an associated email address, it cannot be automatically de-duplicated so may result in duplications within your HubSpot account. b. Crowdsourced Data. If you use our HubSpot CRM, you may see fields in our company database marked with an orange dot, or highlighted in some other way. These fields are those that we let our HubSpot CRM users update, to aim to keep our company database as current as possible. Crowdsourced Data fields only capture company level information, and are not intended to collect personally identifiable information. If you choose to submit updated information to these fields, you grant us the right to use such information in any manner that we choose (including, without limitation, publicly), without any payment or attribution to you. You represent and warrant that you have a right to share such information with us for our use and that you are not violating any confidentiality obligations by submitting the information. This information submitted by you will not be considered Customer Data or Confidential Information under this Agreement. c. Outbound Calling via HubSpot CRM. We do not guarantee the availability of our HubSpot CRM’s outbound calling feature in any or all geographical areas. If you are interested in obtaining a list of countries to which we currently offer outbound calling, please contact our Support team. We may update this list at any time without notice to you. We may also disable your ability, or charge you a fee, to make calls to certain countries if we choose to, even if we generally offer outbound calling to these countries. One reason we may do this is if you are making a disproportionate or excessive number of calls to these countries. d. Documents. If you use the 'Documents' feature with HubSpot CRM then the product disclosures in the 'Documents' section also apply. 6. Inbox Integration. Certain features of the Subscription Service allow you to integrate your email account with the Subscription Service. By enabling those features, you grant us access to your incoming mail, inbox history, and contacts to enable us to identify relevant emails to be stored within the Subscription Service. Certain features of the Subscription Service track email correspondence that you flag for tracking by sending the email from inside the Subscription Service, BCC’ing the email to the Subscription Service, or otherwise opting to have an email tracked. You understand that the correspondences you track will be visible to other users on your Subscription team. Additionally, certain features of the Subscription Service may allow you to connect a shared inbox. By connecting a shared inbox, you understand that any User may have access to or visibility into the contents of this inbox. 7. HubSpot Tracking Code for Wordpress Plugin. The HubSpot Tracking Code for Wordpress Plugin is licensed under the terms of the GNU Public License v2.0 (GPLv2), so these Customer Terms of Service do not apply to the HubSpot Tracking Code for Wordpress Plugin. To connect your Wordpress installation with your HubSpot account, we may use Wordpress account information such as your email address to authenticate the connection. You grant permission to us and our licensors to collect data from your Wordpress instance only as necessary to provide the Subscription Service and Consulting Services to you and as permitted by this Agreement. 9. Alpha/Beta Services. If we make alpha or beta access to some or all of the Subscription Service (the “Alpha/Beta Services”) available to you (i) the Alpha/Beta Services are provided “as is” and without warranty of any kind, (ii) we may suspend, limit, or terminate the Alpha/Beta Services for any reason at any time without notice, and (iii) we will not be liable to you for damages of any kind related to your use of the Alpha/Beta Services. If we inform you of additional terms and conditions that apply to your use of the Alpha/Beta Services, those will apply as well. We might require your participation to be confidential, and we might also require you to provide feedback to us about your use of the Alpha/Beta Services. You agree that we own all rights to use and incorporate your feedback into our services and products, without payment or attribution to you. 10. Free Trial. If you register for a free trial, we will make the applicable Subscription Service available to you on a trial basis free of charge until the earlier of (a) the end of the free trial period (if not terminated earlier) or (b) the start date of your paid subscription. Unless you purchase a subscription to the applicable Subscription Service before the end of the free trial, all of your data in the Subscription Service may be permanently deleted at the end of the trial, and we will not recover it. If we include additional terms and conditions on the trial registration web page, those will apply as well. 11. Call Transcription. The ‘Call Transcription’ feature allows you to transcribe calls that you record with Sales Hub products. We use Google Cloud Platform’s Cloud Speech-to-Text API and Google Cloud Storage to provide Call Transcription, which requires us to share call data with Google for use, analysis, and storage by Google. In order to use the Call Transcription feature you must consent to Google’s use of your call data via an in-app modal. If you do not consent, we are unable to provide the Call Transcription service to you. You are responsible for compliance with all call recording laws and obtaining any required consents from callers. 12. Content Membership. The Content Membership functionality allows you to gate certain content to Contacts based on an authentication list and passwords. Passwords are not stored in the Subscription Service and are hashed. We do not have access to your Contacts’ passwords. 14. Free Services. We may include HubSpot branding and other marketing content on any of the features of our Free Services. You agree that you will not remove, edit or otherwise modify this HubSpot branding and marketing content. We may use information that is provided directly to us for our own purposes without any obligation to you. 15. Legacy Products. If you have a legacy HubSpot product, some of the features and limits that apply to that product may be different than those that appear in the HubSpot Customer Terms of Service, Product Disclosures Page and/or Product and Services Catalog. If you determine that your are using a legacy product and would like to upgrade to a current-version, you must execute a new Order. If you use one of our legacy Marketing Hub products that is not listed in the Customer Terms of Service, then the terms that apply to Full-Service Marketing Hub Products apply to your subscription.